The whole world knows that India is a country of rich culture. People from different religions live with perfect harmony & peace in the country. 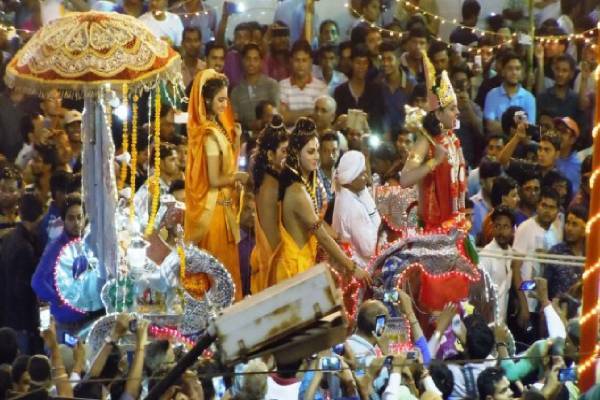 Because of this cultural diversity, India is the country with the most number of festivals celebrated in the whole world. 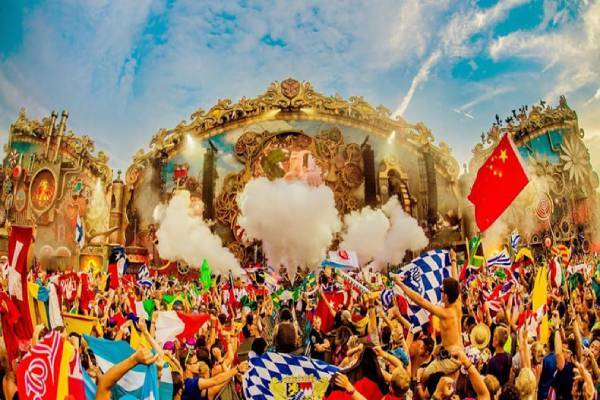 People from all over the world rove to the country to experience these festivals. All year round, there is a mood of festivity & celebration in the country. 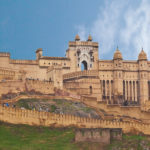 Many tourists book the India Festival Tour to experience these festivals in the country. Here, we are listing out 15 of the most awesome festivals that can make anyone’s soul filled with joy, in India. India celebrates its Republic Day with great pride every year on January 26th. The Indian constitution was formed on this date in the year 1950. The President of India inspects the celebration which includes a ceremonial parade by defense forces, cultural dance from different states & display of Indian military equipment. 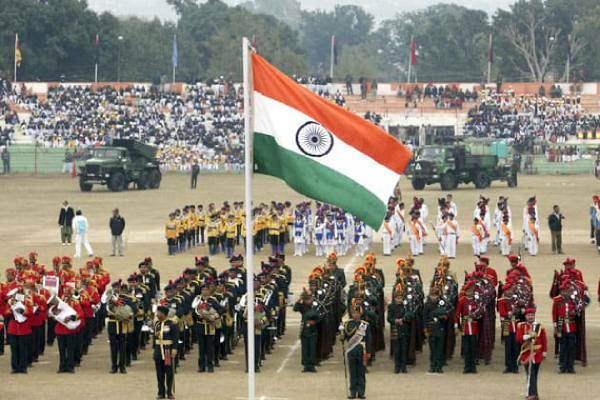 Thousands of people witness the grand celebration at Rajpath along with their families. Guests from foreign countries also experience the national celebration of India. Makar Sankranti is a festival or more of a tradition that is celebrated on 14th to 15th of January each year in Northern India. 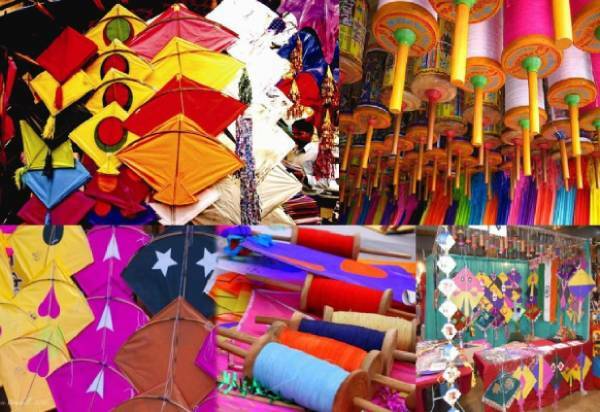 It is popularly known as the Kite Festival in Rajasthan & Gujarat. Lohri is celebrated mostly one day prior to Sankranti & marks the end of the winter season. People take bath in the Holy rivers & donate to the poor on this day. If you’re on a trip to India during these days, you just can’t afford to miss the Sankranti celebration in Jaipur & Ahmedabad. You will have a once in a lifetime experience flying kites & enjoying all the delicacies that are made on this festival. Pongal is a 4-day festival celebrated in mid-January in Southern India. It is a harvest festival which is dedicated to the Sun. Lohri also has much of the same significance. On the first day, old things are discarded & the new one is bought in & celebrated. 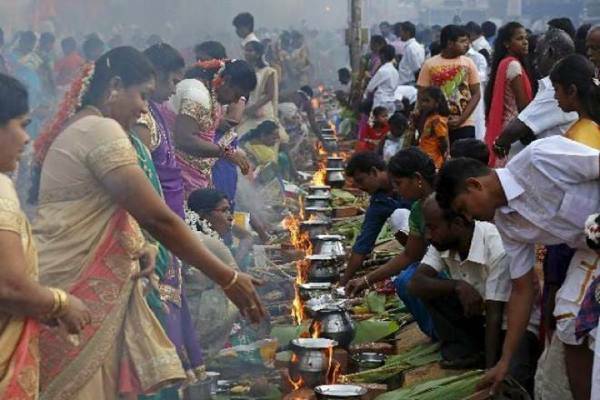 On the second day, it is the main event which is known as Thai Pongal. The last two days are known as Maatu Pongal & Kaanum Pongal. It marks the Sun’s 6 months long journey towards the north, called Uttarayan. Basant Panchami is observed in the month of January / February in the Spring season. She is the Goddess of knowledge, art & skill. This festival is celebrated as the day of Goddess Saraswati. 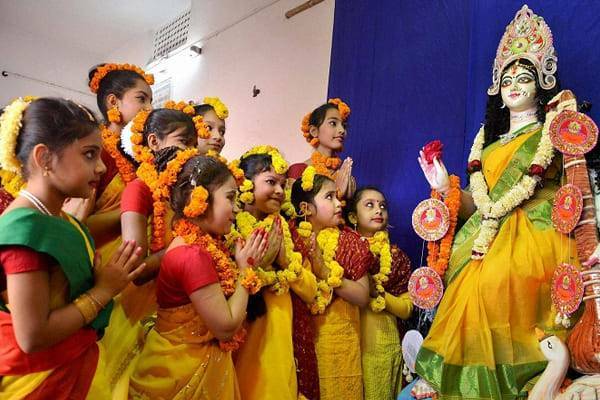 Maa Saraswati’s puja is performed in the states of Bihar, West Bengal, Odisha, Assam & Rajasthan. People wear Yellow & eat Yellow on this day. The Sikhs celebrate this festival by organizing Langars for people & the mass public. Holi is one of the major festivals known popularly as the Festival of Colors, celebrated in March in India. Holika Dahan is performed a night before the day of the festival to burn all the negativities. On Holi, people dance & play with colors, gulal & savor homemade sweets & delicacies. Many foreign tourists come to India, especially for Holi which they find very enjoyable. 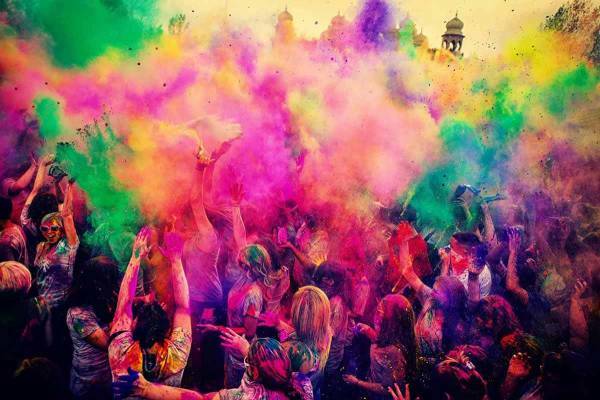 Holi Festival Tour Package can be easily booked online prior to the festival at very reasonable prices. Mass gatherings are organized so that people can celebrate the festival together & spread the message of harmony among them. Holi is celebrated as the festival of love, forgiveness & peace all over India. Maha Shivratri is celebrated by Hindus in the honor of Lord Shiva. It is one of the major festivals of Hinduism. People fast, offer prayers to Lord Shiva on this day & observe the day with great enthusiasm. According to folklore, when Lord Shiva was asked about his favorite day by Goddess Parvati, he answered in favor of this day as per the Hindu calendar. 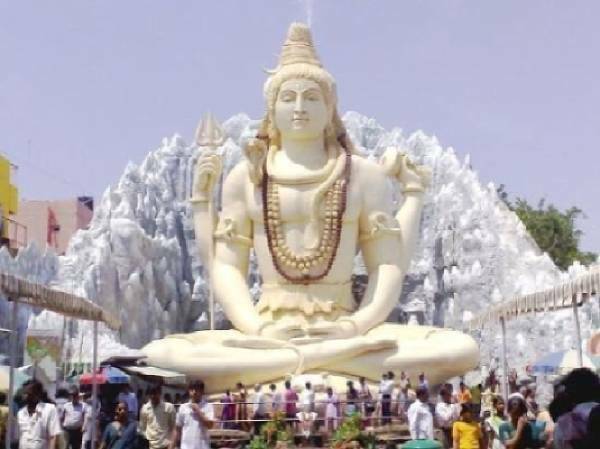 There are many different stories on Maha Shivratri that are famous in the Hindu culture. It is believed that whoever manages to please Lord Shiva with fasting & offering prayers, they bring good luck in their life. The Kumbh Mela is held once in every 3 years. 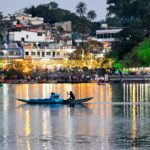 The host cities are Allahabad, Varanasi, Haridwar & Ujjain. It is one of the largest gatherings related to pilgrimage in the world. 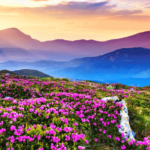 It is considered as a spiritually enlightening festival. Pilgrims arrive from different parts of the world & take a holy dip in the river to wash away their sins. Now, the government of India makes special arrangements so there are no mishaps during the festival. Security & other facilities for the pilgrims are also ensured. 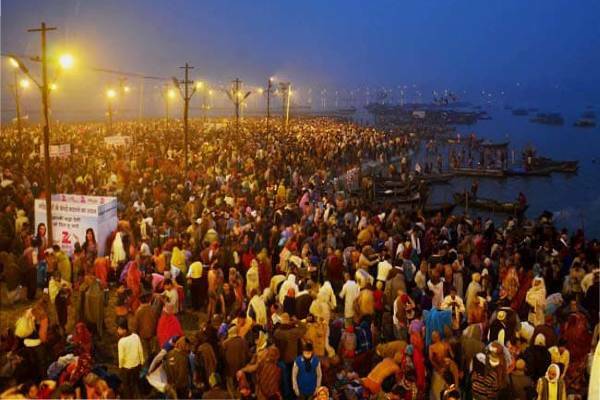 You can easily book the Kumbh Festival Tour Package & enjoy this pilgrimage fest with your loved ones. Goa is one of the most happening destinations in India. A mixture of exotic spots like beaches, night clubs, casinos and more makes it the center of attraction for foreign tourists. The Carnival in Goa is a 3-4 days fest which is celebrated in the month of February or March. This festival was brought in Goa by the Portuguese. The best part is that there is no ticketing system. You just have to arrive & celebrate till exhaustion. Beautiful floats & parades are organized which make the environment full of fun & enjoyable. This festival is celebrated on the birthday of Lord Rama. It is the 9th day of Spring Navratri or Chaitra Navratri. It has great significance in the Vaishnava culture. Ram Katha or stories of Ramayana are organized on this day. People fast & in the evening make delicious food to enjoy the day. 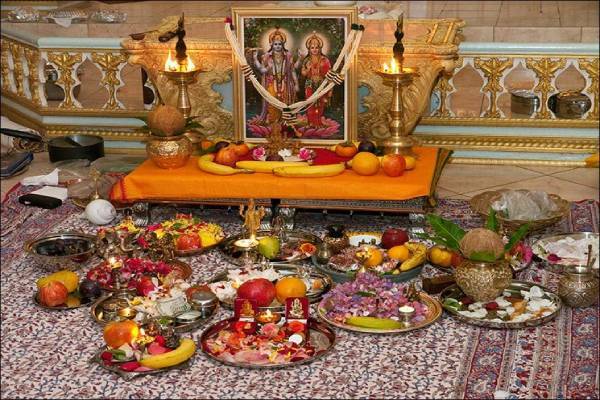 Prayers & worship of Lord Rama are offered in temples & at homes. This is one of the four most important days for Hindus. It is celebrated as the birthday of Lord Parashurama. Akshay Tritiya is considered as a very auspicious day for starting new ventures, buying gold, jewelry & new things. People buy new products on this day & prayers are offered to Lord Parashurama. The month of Ramzan is considered auspicious & Muslims keep a fast for the whole month. After the Ramadan, Eid-Al-Fitr is celebrated. 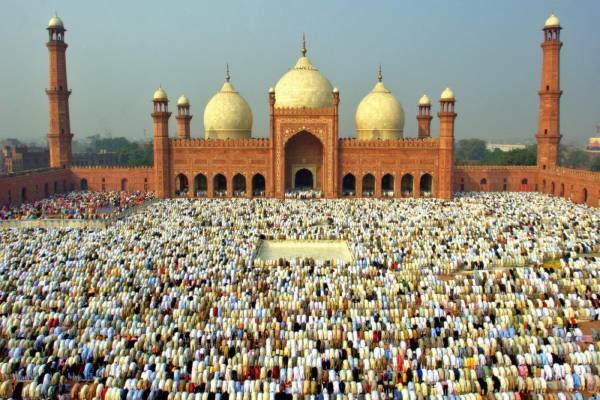 Eid is the major festival of the Muslim community all over the world. It is believed that whoever keeps the fast in the month of Ramazan, he is poured out & his body & soul is replenished. Kheer, a delicious sweet made with milk, vermicelli & dry fruits is prepared. Iftar party is organized to break the fast. Delicious food is prepared on the day with lots of sweets & savories. 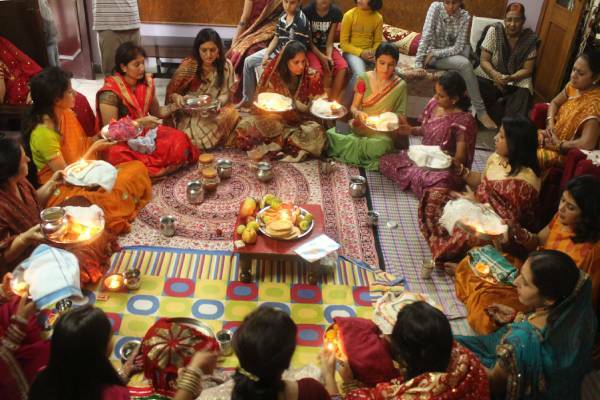 Karva Chauth is celebrated by Indian women four days after the Purnima (full moon night) of the Kartika month. In Northern India, women fast for the day till the moonrise for safety, security & long life of their husbands. It is also celebrated as the festival which signifies the love between married couples. Women break the fast by eating with their husbands & offering prayers to the moon. Navratri is a major festival for Hindus which is celebrated for a period of 9 days. 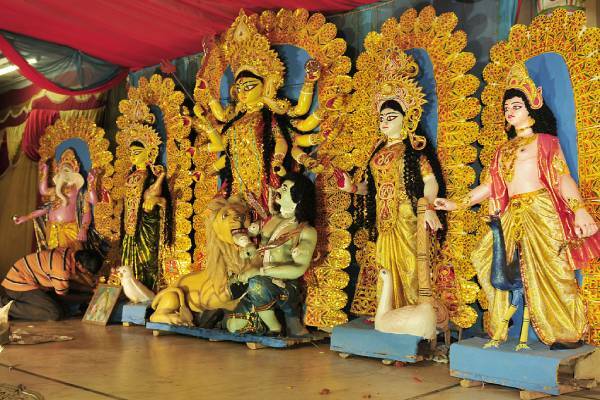 Various incarnations of Goddess Durga are worshipped during these days. 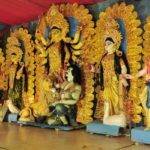 Durga Puja is organized in West Bengal & other parts of India to perform mass worship of the goddess. Goddess Durga is known as the goddess of power, prosperity & wisdom. Small girls are invited into homes as a symbol of the goddess & are offered with delicious food & gifts to please Maa Durga. Garba dance is performed all over the country in followed by Durga Puja. Dussehra or Vijaya Dashmi is a major festival for the Hindus. It marks the victory of good over evil. Lord Rama defeated the King of Lanka, Ravana on this day. It is a very auspicious day for the Hindus. Shastra Pujan is performed by the people & Lord Rama is offered with prayers. 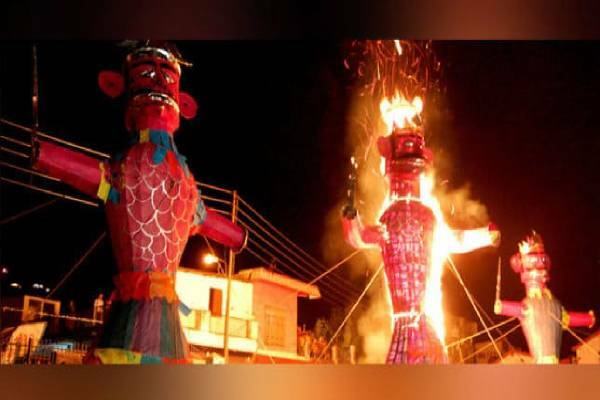 In the evening, huge effigies of Ravana are burnt throughout the country to mark the victory of good over evil. Vijaya Dashmi is celebrated on the 10th day of Sharad Navratri. It is also marked as the victory of Goddess Durga when she defeated the Rakshasa Mahishasur to restore Dharma on Earth. 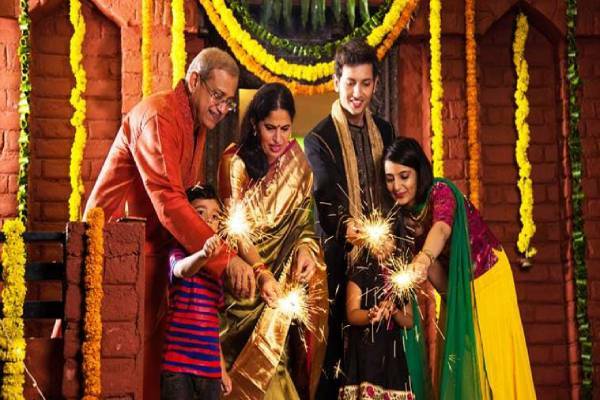 Diwali is the biggest festival for Hindus & is celebrated with full joy all over the country. It is marked with the return of Lord Rama to his place, Ayodhya after defeating Ravana. Oil lamps & candles are lit in the houses. People decorate their homes with lights, rangolis & bandanvars. They buy new things, wear new clothes & prepare delicious sweets & savories. It is a 5-day long festival. The first day is celebrated as the Dhanteras, the second day as Roop Chaudas, the third day is the main Diwali day, fourth day as Govardhan Puja & the final day as Bhaidooj. Firecrackers are burnt & the whole country is lit with decorative lights, making Diwali known as the Festival of Lights. These were the 15 major festivals that are celebrated in India. 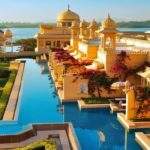 If you want to experience these festivals in the country, then you can book the India Festival Tour Package with Footloose Holidays. We will make sure that you enjoy to the fullest & make this once in a lifetime experience memorable.